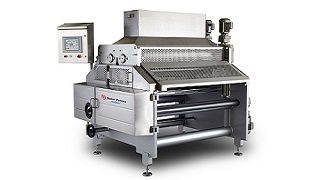 Biscuit handling systems comprise a range of unit machines and conveyors which transport product from the outfeed of the oven to the infeed of the wrapping machines. Systems are modular and designed to suit specific applications by combining a series of individual units linked by conveyors. 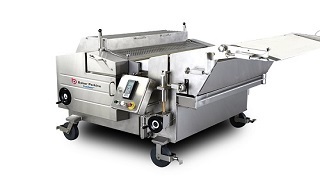 The units include a servo controlled channelling board, lane distributor, lane reducer, lane multiplier, flip stacker, stacking machine and a packing table. 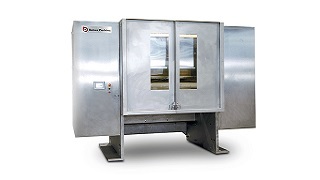 The system can be designed for semi- or fully-automatic feed to the wrapping machines depending on the degree of flexibility required. This is either a single or two-tier arrangement, depending on factory layout. 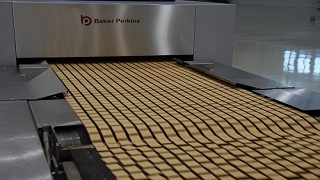 A two-tier system is often used when it is desirable or necessary to turn biscuits over during cooling. This avoids uneven moisture distribution, which leads to cracking of the biscuits. 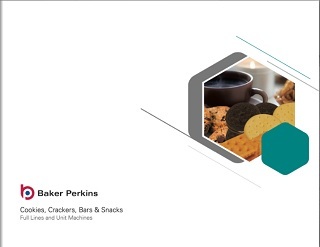 This unit takes biscuits from the cooling conveyor and guides them into the infeed of the biscuit stacking machine. 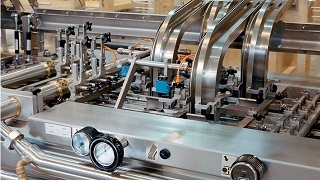 Servo-control is used to monitor the position of the biscuits on the cooling conveyor, and adjust the channeling board. This ensures that a widely spaced, ‘nested’ pattern of biscuits converges efficiently into a series of closely-spaced individual lanes of product. The stacker accepts biscuits in a flat configuration from the channeling board. It converts them to an ‘on-edge’ formation, and continuously builds ‘slugs’ of biscuits. 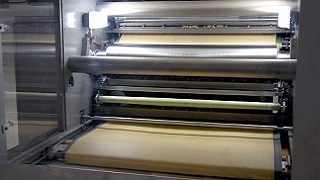 These are transferred to the infeed of a wrapper or cream sandwiching machine.